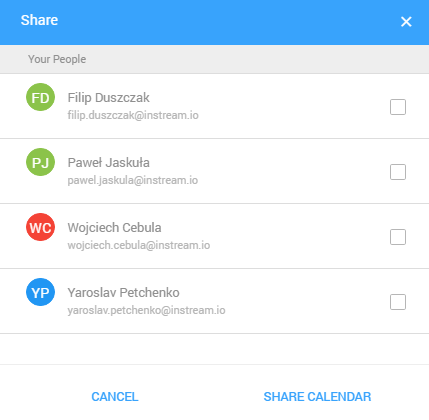 You can share your InStream calendar with your co-workers. Once you do it, they will see all your follow ups. 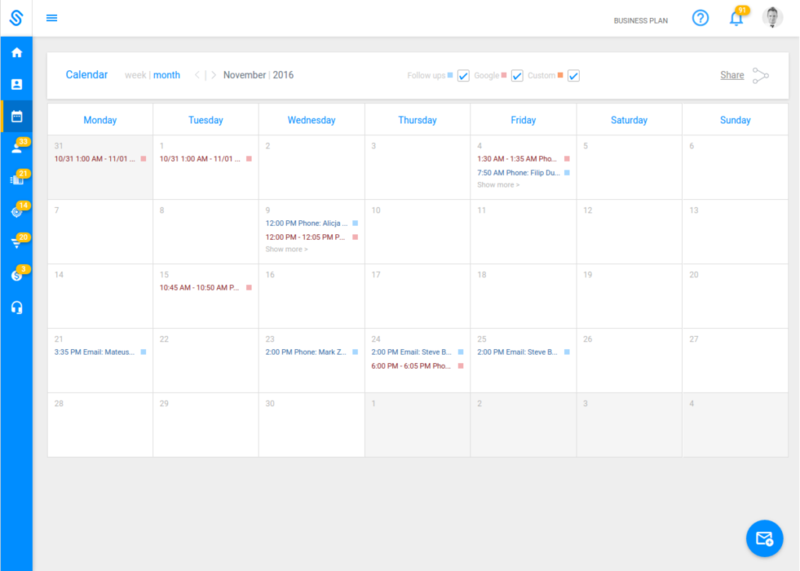 Notice: The person with whom you share your calendar can see it in her/ his calendar. He/ she needs to open it and click on the “My Calendar” list.